Students will be recruited to gain work experience internship with the opportunity of future employment. The students from St. Petersburg Technical Secondary School of Industry Technologies, Finance and Law (previously – the St. Petersburg Technical Secondary Mounting School) were the first to get acquainted with the Company in Sosnovy Bor. There were the students specialized in "Construction and operation of buildings and facilities" and "Electrical equipment installation, adjustment and operation for industrial and civil buildings". 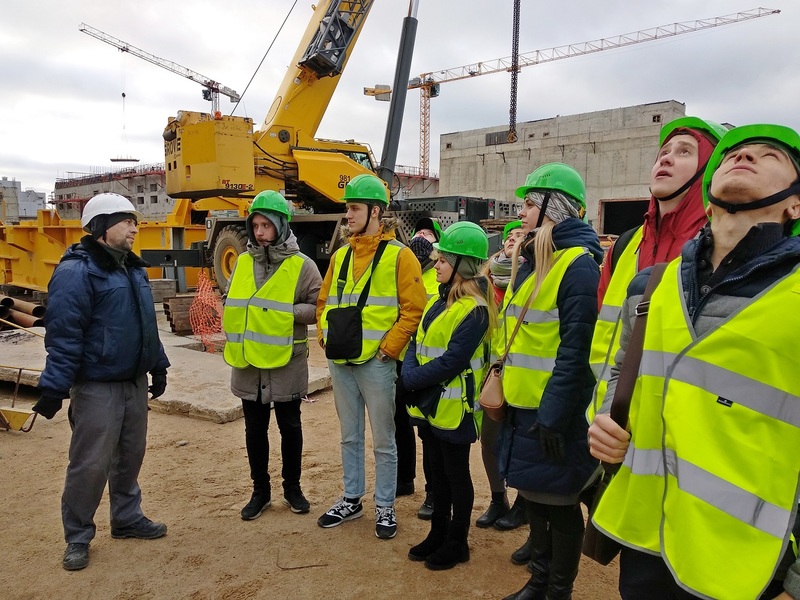 The students had a tour through the construction site of the Leningrad Nuclear Power Plant, where the specialists of JSC CONCERN TITAN-2 work. Professional builders told them about the works in the reactor building, in the evaporative cooling tower as well as about the unique construction equipment. Next year the students of the Technical Secondary School are planned to undertake their pre-graduation practical training at JSC CONCERN TITAN-2. They will work for the construction of the LNPP 2nd power unit. Presently the base consisting of ten educational institutions, which are intended to be cooperated with in future, has been established in the Branch “Construction of Facilities by own Resources”. The main goal is to train students for work at the Company’s construction facilities.